Every once in a while Andrew Cox sends me a link that is too good not to share…hehehe. Check out this Mikrotik SSID Unicode generator. 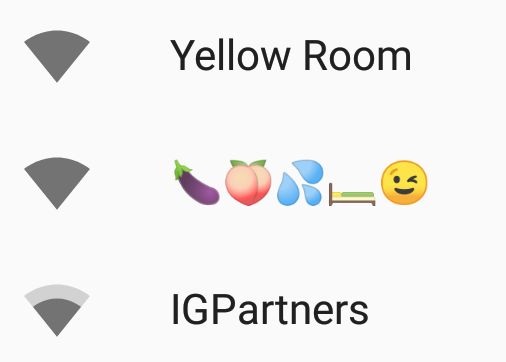 It allows you to put in Emoji and ascii to spit out some hilarious SSIDs. /interface wireless set X ssid="\C2\AF\5C\5F\28\E3\83\84\29\5F\2F\C2\AF"
/interface wireless set 2 ssid="\C2\AF\5C\5F\28\E3\83\84\29\5F\2F\C2\AF"
Have fun, and let’s see some of your interesting SSIDs.